Cat litter. Not a very exciting topic, but the question does come to mind if there are any alternatives to the store bought, and commonly used clay litter. And why should this topic even be considered? There are a variety of reasons listed below. 1. Cost: As a cat(s) guardian, you probably know the high costs for cat litter all too well. There are alternatives to those products that are much more economical. 2. Regular clumping clay litters are not bio-degradable: Clay cat litter can remain in a landfill for years not breaking down and degrading. 3. 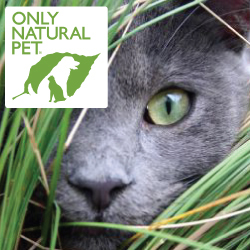 Unsafe chemicals: Traditional clay cat litter contains chemicals that are not exactly safe for you or your cat. Silica dust is one of the by-products that comes from clay particles and should not be inhaled as it has been linked to upper respiratory problems in humans and cats. In “clumping cat litters” sodium bentonite is mixed in. If a cat ingests it can cause gastrointestinal distress that in some cases can lead to death. Also, the clay commonly used can be derived from environmentally destructive strip mining. 4. Messy: Clay litter will track all over your house because of the particles that adhere to your cat’s paws. The good news is that there are alternatives these days. I have listed some alternatives, for a safer household and an eco-friendly experience. DIY Newspaper Litter – 1. Shred newspaper in a paper shredder and collect it in an unused litter box. 2. Soak the paper in warm water mixed with a few squirts gentle, biodegradable dish soap. The shredded paper takes on a cooked oatmeal consistency. The paper won’t come completely clean, but the water will turn grey. 3. Drain the water (an old colander works wonders) and repeat the soaking process minus the soap. 4. Sprinkle baking soda liberally on the wet paper. Knead it in to the mixture (you might want to wear gloves to avoid getting ink on your hands). 5. Squeeze the remaining moisture out until it’s as dry as you can get it. 6. Crumble over a screen and leave to dry for a few days. 7. Once it’s dry, put about an inch and a half to two inches of the paper crumbles in the litter box. Scoop solids daily and change it once a week. It takes about a half an hour to 45 minutes to make a 2-3 week supply of litter. To see how to use shredded paper for kitty litter watch this video. Stove Wood Pine Pellets or Horse bedding – This is my preference as an alternative cat litter. These tiny pellets, are compressed wood shavings and they are very economical in price for around $5.00 for a 40 pound bag! Feline Pine is a branded equivalent but more costly. Saw Dust – Besides being inexpensive, saw dust is easy to handle, lightweight has a pleasant odor, and is biodegradable and compostable. natural enzymes in renewable wheat crops. It has low-dust and therefore low-tracking in the house. An added bonus is its category of biodegradable and compostable. An example brand is SwheatScoop Natural Wheat Litter. in its ability to easily clump and therefore easy to clean out of the box. Its clumping characteristic closely mimics that of clay litter. It also can be dust creating and doesn’t control odor as well as other alternatives such as wood pellets. Some brands include:Benevo Cat Litter, World’s Best Cat Litter, SwheatScoop Natural Wheat Litter. Do you use an alternative cat litter listed in this article, or do you have your own system? Leave a comment below.